Rob Karble was planning to create a "Back to Basic" line of toys built by the Amish community in Heavenly, Pennsylvania---but that was before his body was found! 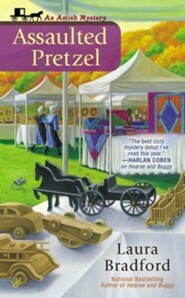 When a secret internal memo surfaces, accusations start flying at the Amish craftsmen. Can Claire Weatherly and detective Jakob Fisher prove their friends' innocence before it's too late? Claire Weatherly found the simple life she always wanted when she opened a gift shop in Heavenly, Pennsylvaniaa small town in the heart of Amish country. But when murder disrupts her Heavenly home, its up to Claire and Detective Jakob Fisher to find the not-so-simple truth. 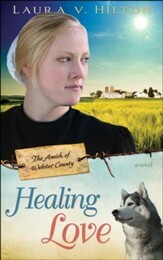 No one wants to believe anyone from the Amish community could commit such an act, but as Claire and Detective Fisher have learned, no one is above sinor suspicion. While spending a rainy afternoon at a friends house more than thirty years ago, Laura Bradford fell in love with writing over a stack of blank paper, a box of crayons, and a freshly sharpened number two pencil. From that moment forward, she never wanted to do or be anything else. 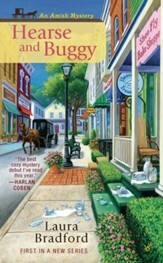 Today, Laura is a bestselling mystery and award-winning romance author. She lives in Yorktown Heights, New York, with her husband and their blended brood. I'm the author/artist and I want to review Assaulted Pretzel, An Amish Mysteries Series, Volume 2.